A knack for customer relationships led April Bucher to begin a career in real estate after 15+ years in the field of technology. Getting to the heart of buyer and seller needs and facilitating smooth transactions are at the core of her business approach. Sharing expertise while building trust with a genuine approach are her keys to client satisfaction. A native of north Florida, April made Tallahassee home after living and working throughout the US and abroad. A graduate of Madison County High School, North Florida Community College, and Florida State University, April knows the value of education and constantly strives to acquire knowledge in her field. In her spare time, April enjoys world travel, fine cuisine, concerts, and family time. 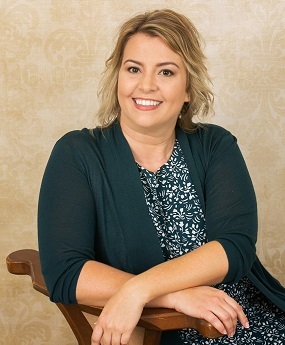 April is a member of the Tallahassee Board of REALTORS® and a graduate of The Real Estate School, Inc. of Tallahassee. She looks forward to helping the citizens of Leon and the surrounding counties find the home of their dreams!